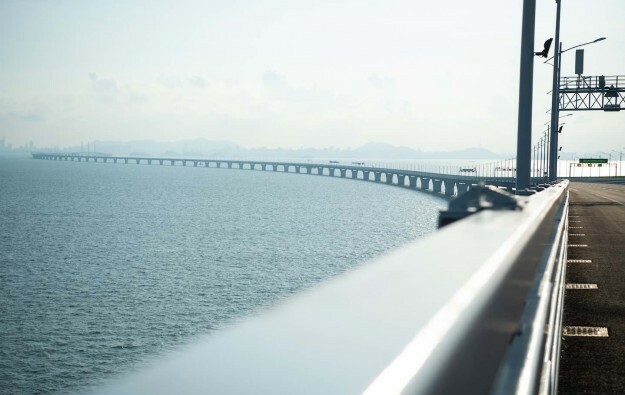 Travel agencies across Guangdong province have reportedly been ordered to halt one-day trips to Hong Kong and Macau on weekends via the Hong Kong-Zhuhai-Macau (HKZM) Bridge (pictured), a move aimed at easing pressure on the ports and surrounding areas in either side of the bridge. The report by the South China Morning Post, published on Thursday, cited the Guangdong Provincial Culture and Tourism Department as saying that it had also encouraged travel agencies in the province to arrange “quality trips” that last “two days or more”. Wong Fai, vice president of the Macau Travel Industry Council, told GGRAsia that he had learned earlier this week of the reported instruction issued by the Guangdong tourism authority, adding that he was supportive of the move. A week ago, several media outlets reported that the tourism authorities in Guangzhou – a major city in Guangdong province – had sent out what was termed as an “urgent notice” to mainland Chinese travel agencies to avoid sending tour groups to Hong Kong via the bridge on weekends. The notice followed several Hong Kong media’s coverage of complaints by locals of overcrowding at Tung Chung, a town near to a Hong Kong entry and exit point for the HKZM Bridge. The sea-crossing HKZM Bridge, which spans 55 kilometres (34 miles), opened to traffic on October 24. For the period between October 24 to November 23, the Macau boundary crossing of the HKZM Bridge has handled more than 800,000 travellers, of which nearly 85 percent or 690,000 of them were from or to Hong Kong, according to Macau’s Public Security Police statistics cited by local media outlets.